"It goes without saying that Orchestre Philharmonok (what is this Belgian obsession with orchestras?) presents music that has -- seriously -- never been heard before. Scratch Pet Land's influences are never too far away, but Laurent Baudoux raises his cocktail of broad bass, game boys, metal guitars, trashy keyboards and cracking beats to the next level. Bizarre string instruments from the Far East twist and turn in the grooves, yet most of the album sounds fabricated from some new synthetic miracle plastic. 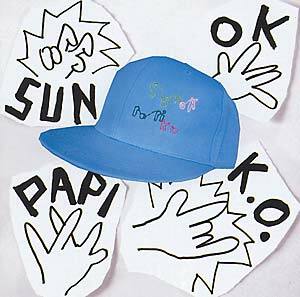 A musical dilettante and professed non-virtuoso, Sun Ok Papi K.O. creates music with the innocent attitude of the enthusiast, free from any impulse to repeat or mimic. Orchestre Philharmonok is like club culture without the club or avant-garde without the music theory. It's got the unmistakable, euphoric appeal of authentic fan admiration, unburdened by cliché or stylistic reference, probing ceaselessly for unexplored turns at an incredible speed."